Left to right: XJet CEO Hanan Gothait and Andrei Boyarintsev, managing director of AB Universal. 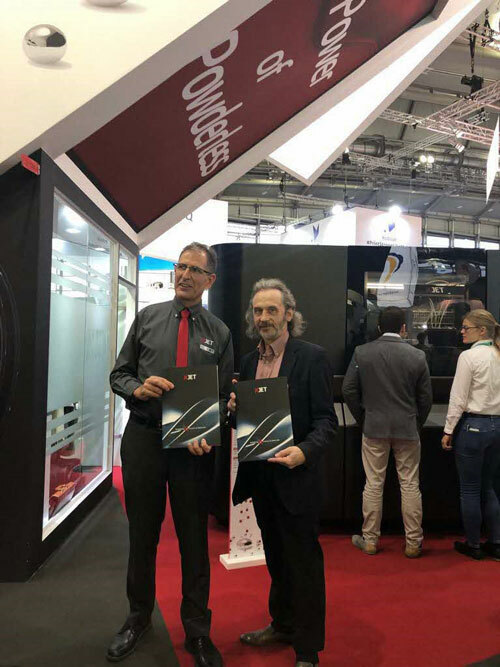 The additive manufacturing (AM) company XJet Ltd., Rehovot, Israel, has announced that AB Universal has been appointed distributor of XJet metal and ceramic Carmel AM Systems in Russia. AB Universal, a distributor of AM solutions in Russia, already has experience and expertise with the XJet NanoParticle Jetting technology, having previously installed a Carmel 1400 AM System at its Moscow-based demo center. Since installing the Carmel AM System, we’ve experienced the unique advantages of the technology and now we want to deliver those benefits to the wider Russian industry,” says Andrei Boyarintsev, AB Universal managing director. AB Universal joins Carfulan Group in XJet’s newly established distribution network. Carfulan distributes XJet AM systems in the UK and Ireland.